The sparkling, reflective surface of crystal clear water enhances architecture on contemporary and traditional domestic buildings. 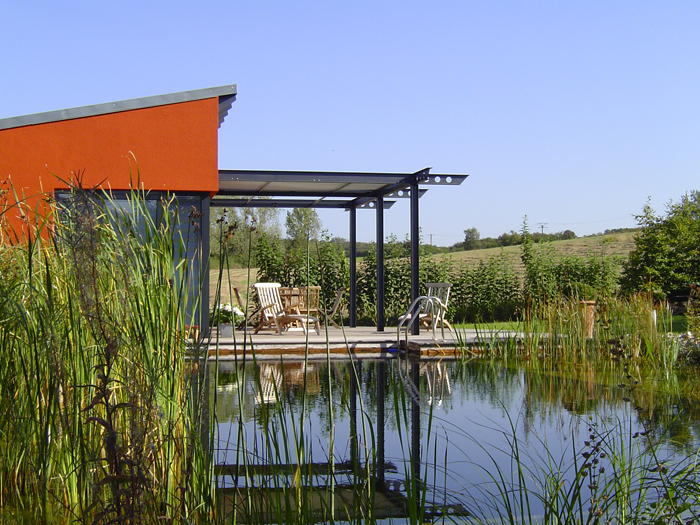 Ensata designs and constructs bespoke domestic Natural Pools across the UK. Our BALI accredited landscape craftsmen work to the highest standard with a finish in and around the pool second to none. Water quality and hygiene is to the international German FLL industry standard, and we provide pool maintenance and servicing for our clients. We work closely with Architects and Landscape Architects to design Natural Pools and Living Pools that provide our clients with a recreational living space, as well as a swimming pool. Incorporating materials such as stone coping, paving, hard wood decks and paved steps into the pool, we ensure our pools work well with their surrounding gardens and architecture. 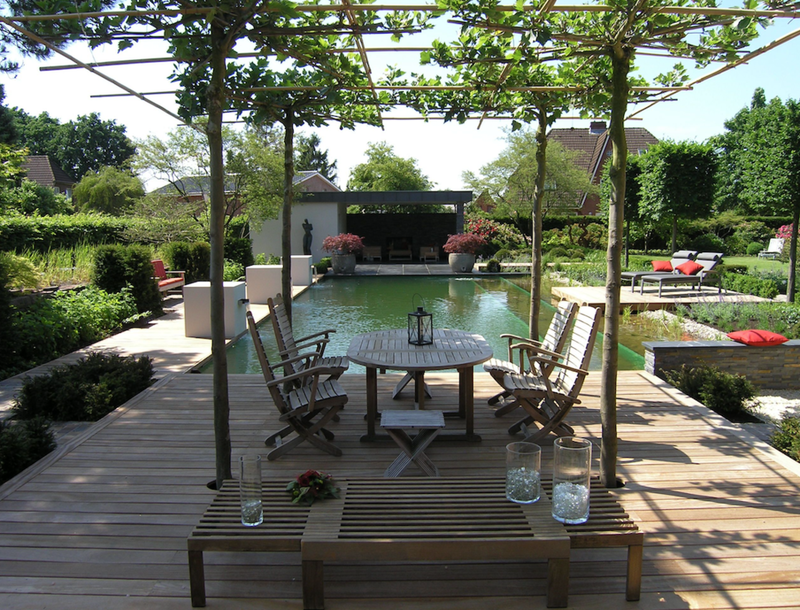 Our services for domestic projects include pool and garden Concept Plans and Planting Plans, Feasibility studies, Cost consultancy, Ecological surveys and assistance with Planning application. 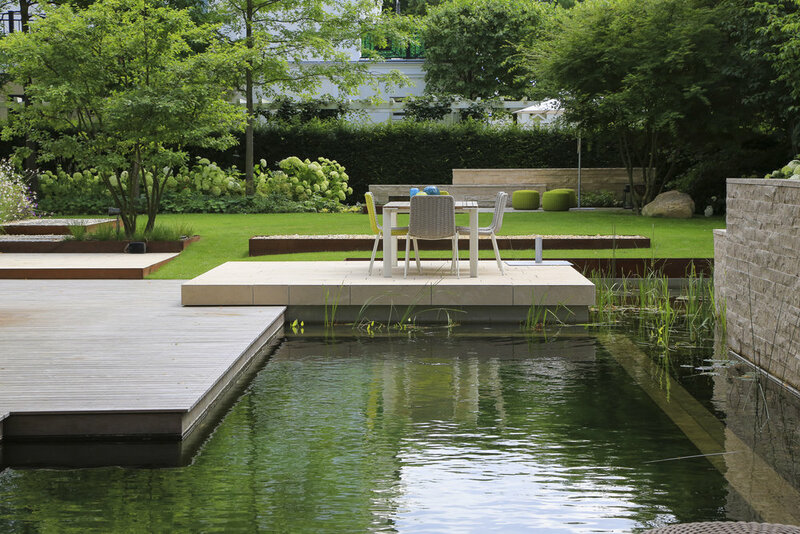 Natural Pools can be constructed adjacent to the house, or set further away in the garden. They and be contemporary, formal or naturalistic in style and start form as small as 40m2 up to lake size. Natural Pools have beautiful water plants in Regeneration zones that filter and purify the water. Living Pools do not require water plants and have a contemporary appearance similar to a conventional pool. The filtration is carried out by a biological filtration system, to produce living water, free from chemicals. Living pools can be covered and heated using an air source heat pump. They can be any size, from a small plunge pool with counter current. Hybrid Pools are filtered in a similar way to a Living Pool and may have a small section for water plants. Hybrid Pools are perfect for properties where space is at a premium. Please contact us for more information about our Natural Pools for domestic clients.